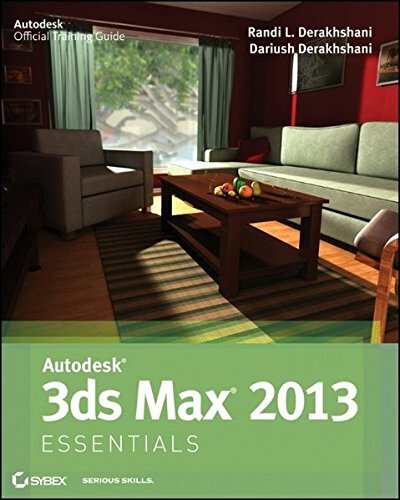 A four-color, task-based Autodesk Official Training Guide covering the core features of 3ds Max Beginning users of this popular 3D animation and effects software will find everything they need for a thorough understanding of the software's key features and functions in this colorful guide. A four-color, task-based Autodesk Official Training Guide covering the core features of 3ds Max Beginning users of this popular 3D animation and effects software will find everything they need for a thorough understanding of the software's key features and functions in this colorful guide. The authors break down the complexities of learning 3D software and get you going right away with interesting, job-related projects. You'll learn the basics of modeling, texturing, animating, lighting, visualization, and visual effects with 3ds Max, exploring the methods and why they are used as they are. An Official Training Guide endorsed by Autodesk and ideal for those new to 3D software Written by CG professionals, featuring hands-on, real-world projects that offer realistic, job-related professional challenges Teaches the basics of modeling, texturing, animating, lighting, visualization, and visual effects, explaining the entire program to help you learn about the entire production pipeline Covers everything a beginner needs to know for a solid foundation in 3ds Max, with illustrated tutorials and full-color screen shots Companion website features starting and ending files for the exercises and additional learning tutorials available for download Autodesk 3ds Max Essentials is the ideal beginner's guide to the exciting world of 3D software.